A number of you were kindly asking after my wellbeing on the island with regard to my luxury B&B accommodation, without the second ‘B’, as I had to make the porridge myself each morning, but the short answer is – fabulous. 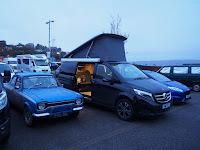 When it comes to motoring, the Mercedes-Benz Marco Polo is a serious ‘wafter’, one of those vehicles that just wafts along the highways and by-ways in serene comfort. 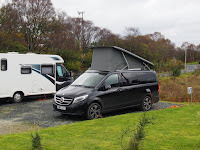 And therein in lies one of its greatest attractions, the fact that it can go exploring down the sideroads and country roads that would defy those users of the larger motorhomes. They might be fine travelling from site to site but for true exploring something the size of the Vito based Marco Polo is ideal. Of course there are drawbacks. It requires someone of a tidy mind and nature to get the best out of it. Belongings and clothes have to be moved back and forth to gain access to cookers and fridges, cupboards and beds but that’s the only drawback to the compact size. Otherwise everything has been built-in including the kitchen sink, except a loo! Speaking of the Harbour Office, the kind folks in there allowed me to use their wi-fi signal over the weekend to help me with posting the various snippets and pics so I‘m ever so grateful to them. By the way the aquarium is well worth a visit. It is the only ‘return to sea’ aquarium in Europe whereby anything interesting brought in by the local fishermen is put on display for a month and then returned from whence it came. In other words, there is a constantly changing display of what can be found locally in the seas around Mull. Fascinating. They’ve got a bright blue lobster at the moment. Really awfy rare, apparently. 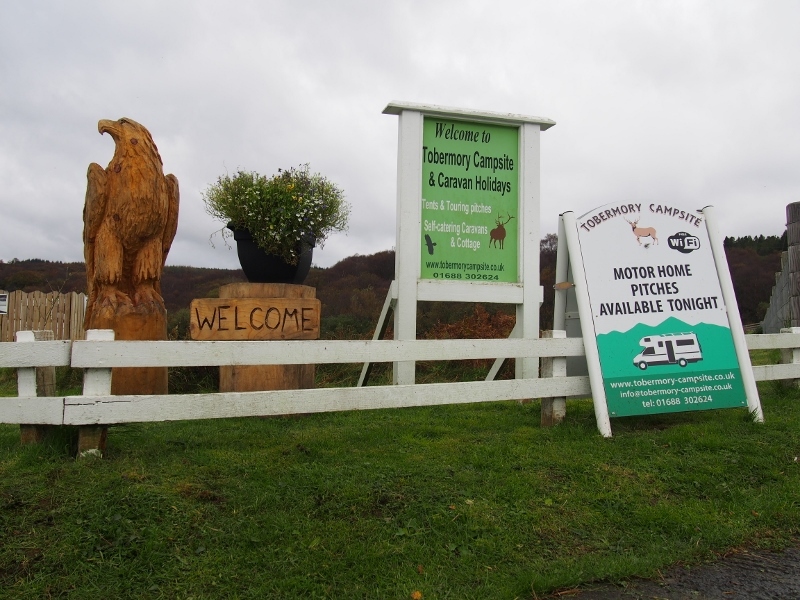 Last night was spent at Angus McWilliam’s Tobermory campsite and caravan park just outside the town where I was able to plug into electricity. 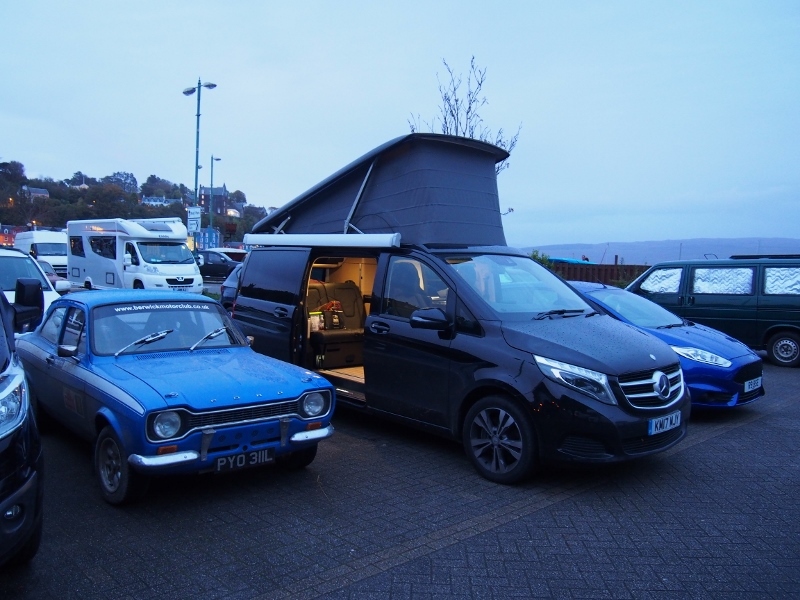 Although the camper has a night heater, it wasn’t needed. It wasn’t cold enough. 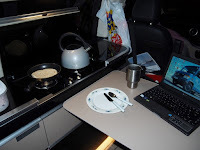 I also used the campsite’s wi-fi which had a stronger signal than down the hill so the ‘Motorsport News’ report and hi-res pictures have been dispatched with no problems this morning. And so brings an end to another Mull. A different one this time, but no less enjoyable, for a whole variety of reasons. 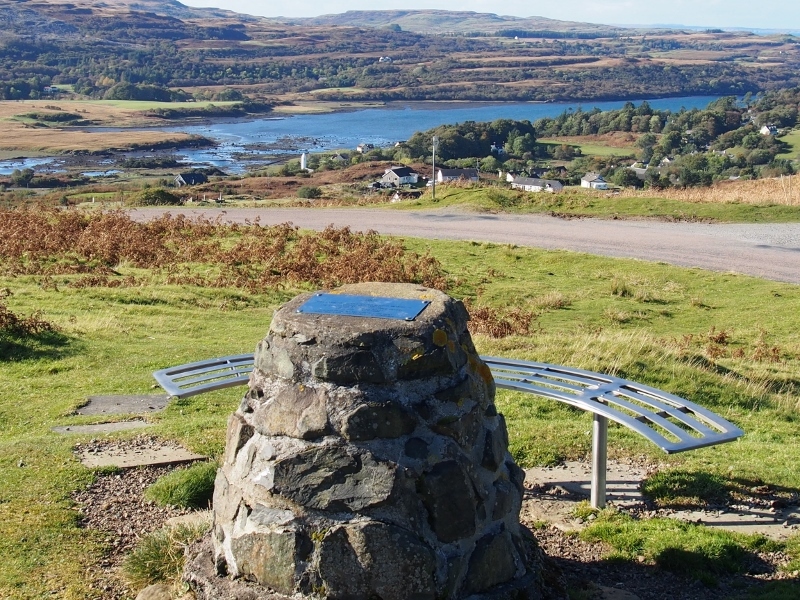 There’s just one more thing to do and that is visit the ‘Silent Spectator’ high above Dervaig, sit on the bench, and have a wee chat and share a pipe. I wonder what he would have made of all this? There would have been dismay at the Government interference but delight at what was achieved to perpetuate the memory. It’s over 50 years now since he came up with the idea to run a rally on the Island of Mull. Not only a man of vision, but a man of fierce determination. 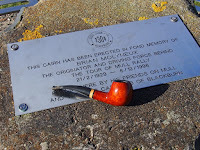 The result was the origination of the Tour of Mull Rally and the Act of Parliament which originally allowed closed public road rallying in Scotland. 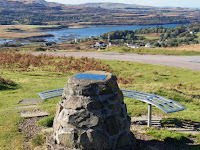 So visit the cairn. 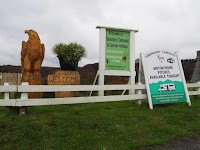 Stop in the layby across the road. Take a wee walk up the hill, read the inscription and sit and ponder a while, and thank the man and his team who made it all happen.